One of the first small-scale multiplexes to launch in the UK celebrates second anniversary of broadcasting. Originally launched as a nine-month trial of the viability of low cost DAB transmission, Solent Wireless, serving Portsmouth, has gone from carrying six to 21 stations on digital radio; all but one broadcast in stereo. The multiplex has given various community and internet stations their first financially realistic opportunity to go on DAB. The multiplex is run by local community station Angel Radio with engineering support provided by local company Commtronix. "I cannot believe that two very successful years have gone by since we started broadcasting on the Portsmouth DAB multiplex. The DAB platform has given our volunteer based station a real boost and new local listeners are discovering us on DAB all the time. We are very proud to be a part of this experiment locally, and hope to be on air in Portsmouth for many years to come". "Thanks to the Portsmouth DAB multiplex, Awaaz FM is now the biggest ethnic radio station in this area. This was never possible before due to the high costs of traditional DAB multiplexes. 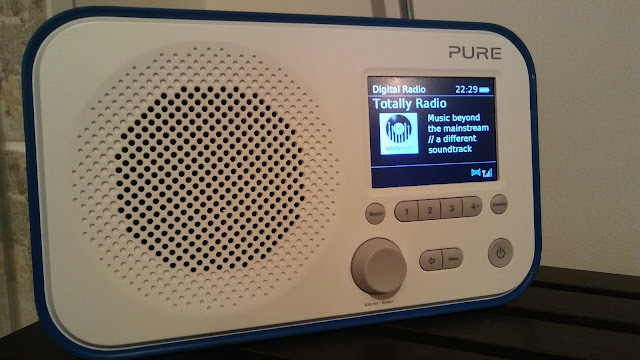 The small scale DAB multiplex in Portsmouth clearly shows how community focused the new choice of services can be, and how effectively it reaches out to all members of the community and not just the traditional stations that we are used to, giving the area a much needed variety of stations to choose from!" "Working with Angel Radio on the Portsmouth DAB multiplex has allowed us to launch a trial radio service for our significant Royal Navy audience in the city. It also allowed us to trial DAB+ with minimum risk. Something which would otherwise have involved a lot more effort and expense launched very swiftly. Ash and the guys have been great partners in this and we look forward to working with them on an enduring and expanding basis." "It's been an amazing two years for us in Portsmouth. We've demonstrated that we can just get on with things. Here in Portsmouth, we're improving the listener experience with a broad range of formats, and many of the services feature local content too. And who says stereo is dead - 20 of our 21 services are in stereo! We've embraced DAB+ and DAB slideshow in a way that traditional multiplexes haven't. I'd like to thank our service providers for working with us to enhance listener choice in the Portsmouth area. We've demonstrated that DAB doesn't have to be difficult." Following the success of the original small-scale DAB multiplex trials, legislation has now been passed that will allow small-scale DAB multiplexes to stay on air, and paved the way for Ofcom to begin licensing new small-scale multiplexes across the UK. The success of small-scale DAB has also been picked up internationally, with Germany's first small-scale multiplex having launched earlier this month. Meanwhile, Manchester's small-scale DAB multiplex has welcomed its 29th station on board: XS Manchester. The Niocast-operated multiplex is the most populated DAB multiplex in the world, thanks to the use of the latest DAB+ technology.